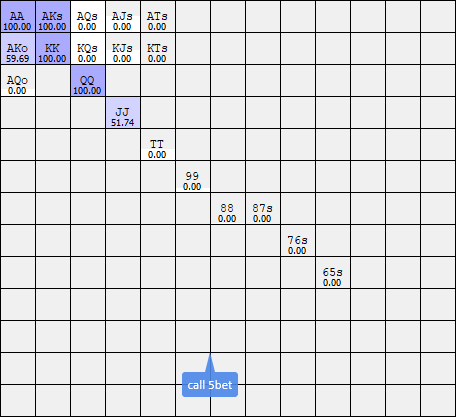 Calculation of preflop and postflop ranges. We are engaged in calculations in the GTO programs for about 2.5 years, most of which we perform pre-flop calculations of strategies of different complexity, including for players of low and medium limits. The obtained experience allows to take into account the nuances in the strategies of different types of games and on the output to get preflop and post-flop ranges calculations with high accuracy. 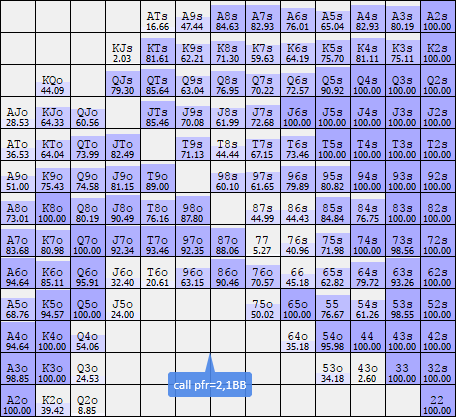 - optimal and exploiting preflop strategies: calls, 3bets, 4bet and etc. 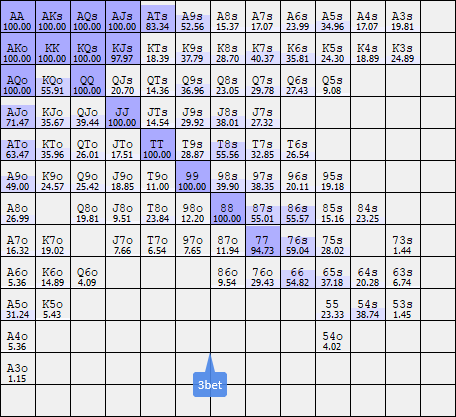 - defend ranges vs 3bets, 4bets and etc. Calculations are made in the SimplePostflop program. 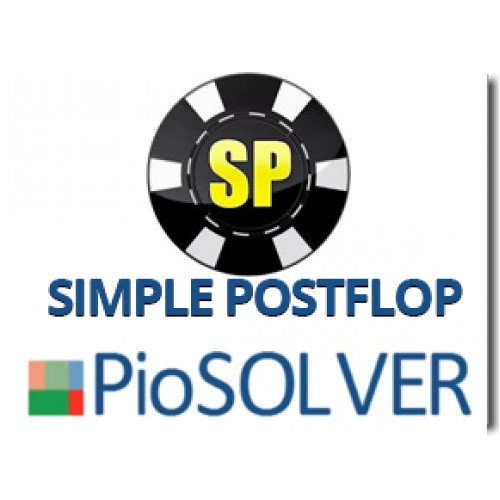 You send a file to calculate the preflop or postflop strategy, we start it on the server and after completion, you send the final file with calculation. The file can be viewed in Simple Postflop, including the free version. 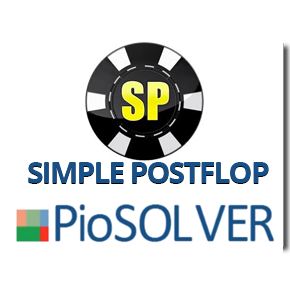 You no longer need to spend a huge amount of time trying to find the right solution in various poker programs or dealing with endless questions to poker coach, for which they themselves often have incorrect answers. We provide a full range of consulting and settlement services. 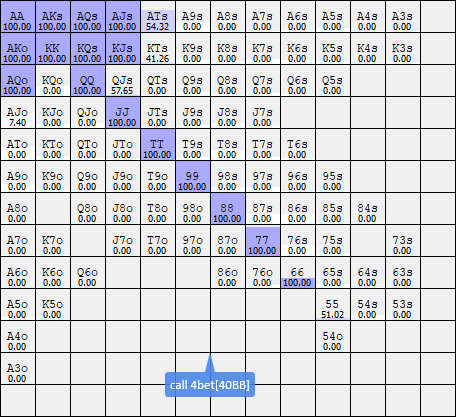 Optimum defend range of the preflop raise 2.5BB in position against depolar 3bet 9BB 10% in 100BB stacks. Calculation parameters and spent resources: subset - 184 flops, RAM - 49GB. 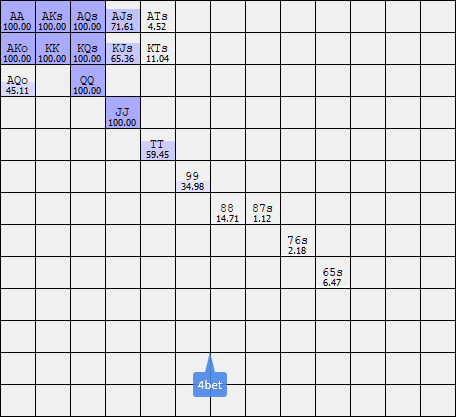 Optimal defense of BB against preflop raise 56%, 2.1BB in 40BB stacks. Calculation parameters and spent resources: subset - 184 flops, RAM - 82GB. 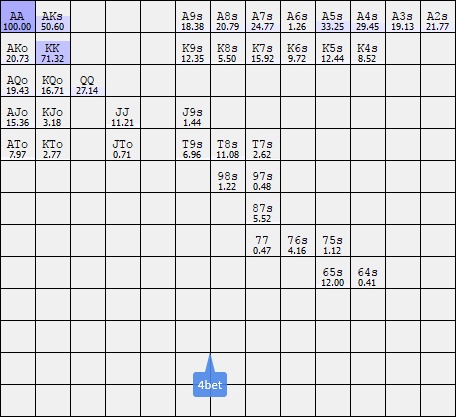 Building 5% of Cold4bet(Open4bet) range in position with 100BB stacks. Calculation parameters and spent resources: subset - 184 flops, RAM - 26GB. where RAM is the required amount of memory RAM for calculation. There is a system of discounts: for a one-time order of payments, for which the total RAM is required is more than 2500GB - 50% discount, 5000GB - 66%, 7500GB - 75%! * Cost of calculations for which it is required less than 28 Gb or more 93 Gb specify in a Skype. You can get free Guide with list of Stats and Numbers that you can use against players at the table. A great product! It helped in adjusting and with the analysis of opponents. 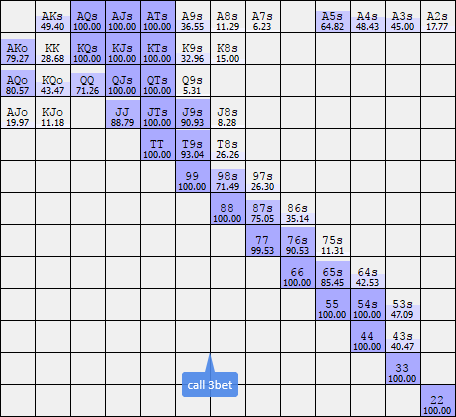 Play on PokerStars, NL100-200.